At Fast Lube Plus, we value our fleet business and understand the importance of keeping your vehicles running efficiently and keeping your employees safe and back on the road. Our shops are always fully staffed to ensure less down time for your employees. With no appointment necessary, our staff is ready to service your fleet at your convenience. No fleet is too small; we gladly accept any local business into our fleet management program. From 2 vehicles to 200 vehicles, we are capable of handling most of your automotive needs. 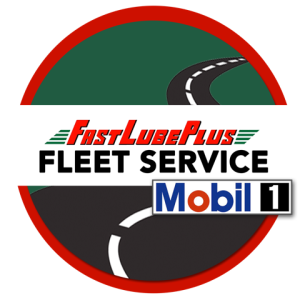 We are proud to provide Mobil1 lubricants with our full service oil change. If you participate in national fleet management programs, you can track your expenses and let your drivers quickly maintain their vehicles at any of our stores nationwide. We direct bill your fleet management company. Over 40 years experience in fleet maintenance. Comprehensive estimates before performing fleet repair work. Peace of mind with warranties on parts and labor.